Annette studied Psychology and Biology at the University of Konstanz where she obtained her PhD in 1998. 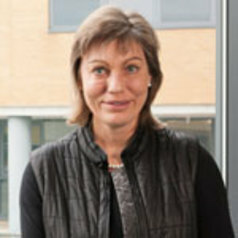 She was a lecturer (2000-2002) and reader (2002-2003) in the School of Psychology at the University of Liverpool before she joined the University of Surrey as a chair in Cognitive Neuroscience in 2003. She was head of Psychology from 2008-2011, and served as associate dean international from 2009-2011. At present she is leading the Brain and Behaviour Research group. Her research focuses on clinical neuroscience brain plasticity with particular emphasis on functional brain organization, neurological rehabilitation, and most recently sleep. A second strand of studies aims to understand the neuromodulatory effects of glucose and hormones on cognition.